This engineering software allows engineering students from West Point and elsewhere to practice building original bridges every year. A software far from a simulation game, but very specific for the target audience. 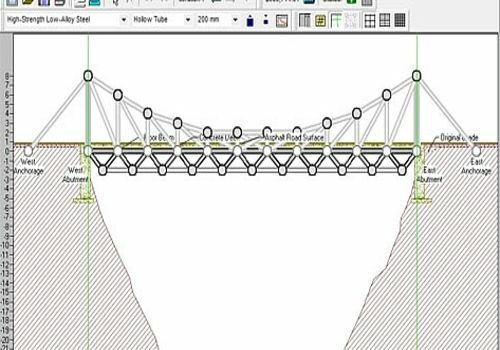 West Point Bridge Designer is a software that has run its course. We still offer it for download but its designer has lowered the curtain. However, budding engineers will still have the opportunity to virtually create a bridge between two shores and test pixel constructions in realistic climatic and physical conditions. Version 2016 is the latest version to have been published, it is the one we propose on the site.